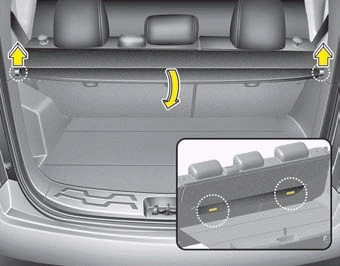 Use the cargo screen to hide items stored in the cargo area. To use the cargo screen, insert the 4 edges into the slots. When not in use, remove the 2 rear edges from the slot and attach the cargo screen to the seat back by using the magic tape on the back of the cargo screen. 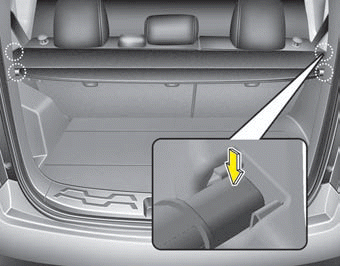 • Do not place objects on the cargo screen. Such objects may be thrown about inside the vehicle and possibly injure vehicle occupants during an accident or when braking. 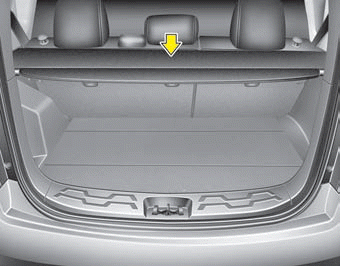 Since the cargo screen may be damaged or malformed, do not put the luggage on it when it is used.